Social sustainability is about ensuring the sustenance of the diverse social relations that exist in healthy communities. 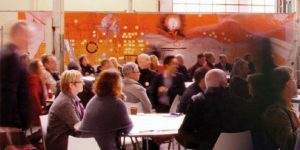 Creating the physical, cultural and social places that support wellbeing and a sense of community involves a process of engagement with the people who inhabit those places. There are several key points to note: social sustainability is as much about the process as it is about the outcome, the design of the physical place is critical and the physical outcomes need to be integrated with social infrastructure systems. This report is divided into two parts. Part A provides a background to social sustainability, connects the concept to the Australian context and highlights the integrated approach required for successful outcomes. Part B focuses on design principles and provides practical strategies for architects pursuing socially sustainable outcomes.